While the Graduation Success Rate for football student-athletes in the 78 Football Bowl Subdivision schools continues to rise, the gap between African-American and White student-athletes persists. Utilizing statistics from the NCAA, the report shows the overall Graduation Success Rate (GSR) of football student-athletes at FBS schools rose from 77 percent in 2017 to 79 percent in 2018. The GSR for African-American football student-athletes also rose, going from 71 percent in 2017 to 73 percent in 2018. 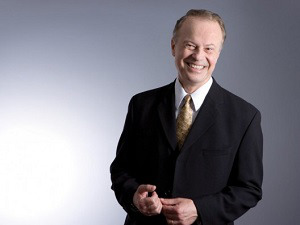 Of serious concern to TIDES founder/director Dr. Richard Lapchick is the persistent gap between African-American and White football student-athletes. The GSR for White players rose from an average 87 percent GSR in 2017 to 90 percent in 2018. Ever since the NCAA created the Academic Progress Rate (APR) in 2004 with the threat of penalties to academically under-achieving teams, football student-athletes have shown positive improvement. Lapchick noted there is more societal consciousness of the fact that only about two percent of these football student-athletes will play professionally, so they need education to succeed in life. While there are still a few coaches that place winning above all else, he senses that the majority of schools are committed to academics. In an interview with Diverse, Lapchick noted that the achievement gap between African-American and White student-athletes is reflective of a larger educational issue of college preparedness. “This is an issue of our public educational system, particularly in urban areas, where schools are under-funded,” said Lapchick. “The academic preparation of some urban student-athletes when they get to our college campuses is behind young people who came from suburban areas where schools are better funded, have better teachers and have better infrastructures. Lapchick said not many schools do that today, but the report did note that eight schools (10 percent) had GSRs for African-American football student-athletes that were at least 30 percentage points lower than their rates for White football student-athletes. The percent of schools in the 2017 TIDES study with this statistic was eight percent, so the gap is increasing. “Public pressure will assist with moving those schools forward,” said Lapchick. Lapchick said in his opinion institutions should present their recruits sport-specific graduation rates with racial data included. The institutions should also make information available about the racial makeup of the athletic department. Another statistic not in the report, but worth noting, is that African-American football student-athletes at institutions with an African-American head coach, show little, if any, gap with their White teammates, said Lapchick. “It makes sense that an African-American student-athlete would feel that his school really cares if he sees them hiring people who look like him in major positions such as head coach,” said Lapchick. The report noted that the graduation rate for African-American football student-athletes vastly exceeds the graduation rate of male African-Americans in student bodies as a whole. That GSR is currently 41 percent, but that figure is flawed as it doesn’t account for things such as transfer students. It does; however, reflect national education issues needing attention.